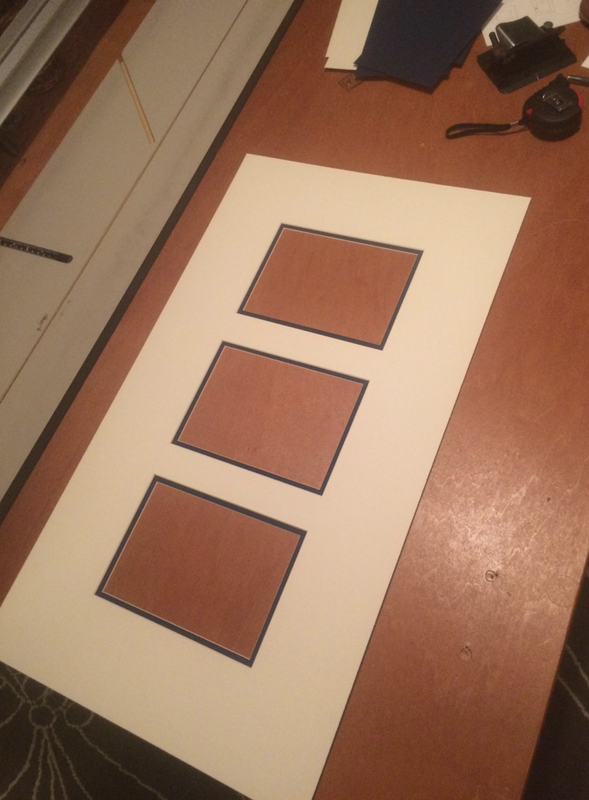 If you are looking to have a piece of artwork or a document framed, but don't feel like spending hundreds of dollars at a custom frame shop, consider having a custom mat made instead. I can size the window of the mat to fit your document, and then size the exterior of the mat to fit a pre-made frame. Pre-made frames can be bought in many retail establishments. Target, Walmart and most grocery stores will have them. This can save you hundreds of dollars compared to custom framing. Framing some dogs start to finish! You can order a mat here on my website or on Etsy! I've sold over 60 mats on Etsy so far! Here are some reviews from satisfied Etsy customers! By the way, here is a description of non-archival and archival matting. Non-archival = acidic, archival = acid-free! Here's a link to the wiki page!